Although designed and built for the US Navy, the F2A fought in only one major US engagement, the battle of Midway, in which F2A pilots managed to shoot down a number of Japanese fighters. Soon replaced by the navy, the F2A was exported to Britain, where it was nicknamed the 'Buffalo' thanks to its stubby appearance. The British sent most of these fighters to the Far East where they were used in the defence of Singapore and Malaya. It was in the Winter War, however, that the F2A truly found a home. Calling the plane simply the Brewster, the Finnish flew it against the invading Russians. Overall 37 Finns achieved ace status flying the Brewster, and it was the Finnish fighter of choice until succeeded by the Bf 109 in 1943. Kari Stenman is undoubtedly the most knowledgeable authority on the Finnish Air Force in World War 2, having written over a dozen books on the subject since the late 1960s. 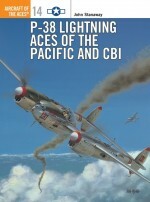 The co-author of the successful Aircraft of the Aces volume on Finnish fighter pilots, he runs his own publishing company in Finland. 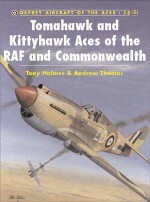 Andrew Thomas is one of Britain's most pre-eminent RAF researchers, having published numerous squadron histories. 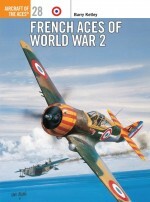 He is presently a serving officer in the RAF.Based in Mansfield, Nottinghamshire, Chris Davey has illustrated more than 20 titles for Osprey's Aircraft of the Aces, Combat Aircraft and Aviation Elite Units series since 1994. He is one of the last traditional airbrush artists in the business and has become Osprey's artist of choice for both USAAF fighters and RAF subject matter, proving his undoubted skill when dealing with large aircraft subjects such as the Halifax and Sunderland. Initial carrier-borne service with US Navy and use pre war by a number of future leading US aces. Selection by some European nations & subsequent adoption by Britain. Service with the first Eagle squadron in England. Deployment and operational use with the Royal Navy in Egypt and Crete. RAF service in Malaya against the Japanese. Neth EIAF service use against Japanese. RAF service in Burma against the Japanese & use in India after retreat.